Dr. Jorge Cortes discusses how to improve the current standard of care by better utilizing the drugs and treatments that are already available. Dixie-Lee Esseltine, MD and George Mulligan, PhD discuss the challenges and gaps in the current standards of care of patients with multiple myeloma, including oral and intravenous treatment options in the frontline therapy setting. 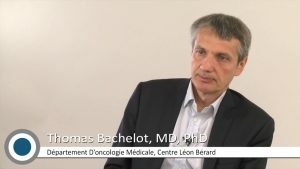 Dr Thomas Bachelot discusses the potential for incorporating immunotherapy into the treatment of patients with hormone receptor–positive diseases but notes that the current data are weak, and further studies are needed to get a better sense of the viability of this treatment option.